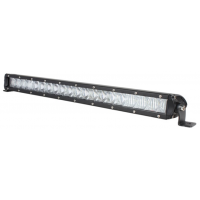 Prohid.lv online shop offers LED work light panels. Suitable for both jeep and agricultural machinery. 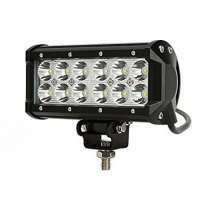 The LED work light panel will let you see both further and more. 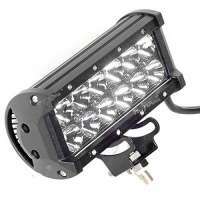 There are 3 types of LED working light panels (High beam, Spread light and Combined light). Each of the LED work panels differs with its reflector and diode power, thus changing the distance that the LED panel can shine. As with all LED lighting elements, it's important to look at the power of Lumenos (lm), not as it was before, on the power of watts (W). Lumeni has a light output LED diode. In case of equal power consumption, the fluorescent LED headlamps may differ. The more snow, the more you see in the dark. At Prohid.lv store, you sellers will be able to advise and allow you to choose the most suitable lamp for your needs.